One of the Sunshine Coast’s most sought after residential areas, Moffat Beach continues to generate huge levels of enquiry at Henzells Caloundra. Moffat Beach perfectly embodies the best of beach-side living, offering a year-round holiday atmosphere, excellent residential infrastructure and great community spirit. Its best feature, however, is the famous surf break. Protected from the prevailing southerly sea breezes by a stunning headland, “Moffats” features sheltered waters for families as well as a first-class wave for surfers rolling down the point. Named after James Moffat, an early resident of the area, Moffat Beach is just minutes from the Caloundra CBD and easily accessible to schools, hospitals, shopping and public transport, with Brisbane an easy one-hour commute away. Featuring a unique coastal village vibe, Moffat Beach is home to one of the Sunshine Coast’s best ocean-front parks and a vibrant retail strip offering everything from trendy alfresco dining to old-school fish and chips. Moffat Beach continues to perform as one of the high demand areas for Henzells Caloundra due to its mixture of housing options to suit all budgets, excellent location and lifestyle advantages. 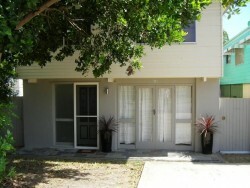 Current Rental Properties Available In "Moffat Beach"
RESORT LIVING ON THE BEACH! 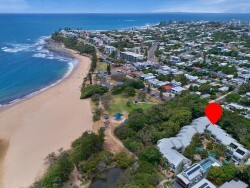 Current Properties For Sale In "Moffat Beach"